Fox’s Bob’s Burgers has just wrapped up another season, and that means a good number of people out there will soon be suffering from a condition called TWS, or “Tina Withdrawal Syndrome.” Symptoms include monotone groaning, an increased obsession with touching butts, and just a general sense of wishing that Bob’s Burgers was still on. Well, for those suffering from TWS, hope may be just around the corner. According to The Hollywood Reporter, Bob’s Burgers is getting its own comic book spin-off from the very writers and artists who make the show. 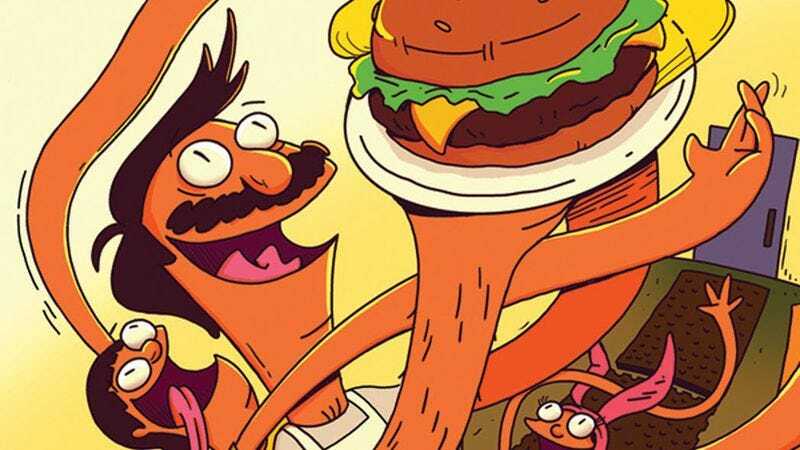 “If you like Bob’s Burgers and you like comic books, then you may feel like you’re living in one of the greatest times in human history,” series creator Loren Bouchard says, adding, “Of course, we could really mess it up. Then you’d feel like you were living in one of the worst times in human history.” Seems like a safe bet either way.